The Ainslie Group centers around brothers Jeff and John Ainslie , who began their careers by learning every craft on a construction site from the ground up. During the last 25 years and more, they’ve carefully selected a team of affiliates— Ainslie Homes, Cohen Homes, Crestline Homes and Wendell Homes—who share their conscientious philosophy and green building practices while creating dream homes designed to be extraordinary in every way. Need help buying and/or selling your home? Ainslie Group's affiliate, Crestline Realty, serves Hampton Roads home buyers and sellers by providing them with personal service and individual attention. 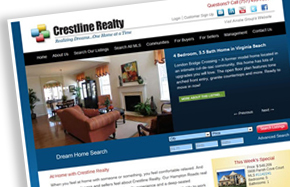 For a list of Ainslie Group homes ready now, search our site, view our mls listings on Crestline’s website or download this PDF.